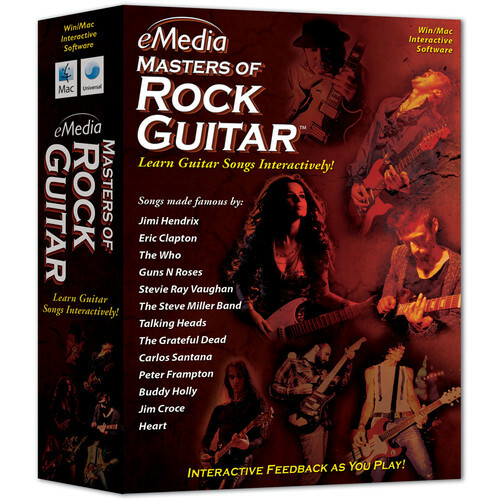 Playing classic rock guitar songs just got easier, thanks to eMedia Music's downloadable Masters of Rock Guitar for Windows. Learn how to play guitar and bass parts for 14 songs made famous by legends such as Clapton, Hendrix, The Who, Santana, Stevie Ray Vaughan, and more. Develop your rock guitar technique as you learn new rock guitar licks and chords. Benefit from note-for-note guitar tabs and standard music notation for "Behind Blue Eyes," "All Along the Watchtower," "Oye Como Va," "Before You Accuse Me," "The Sky is Cryin'," "Baby, I Love Your Way," "Magic Man," and other well-known and beloved songs. You'll learn more quickly and easily with eMedia's Animated Fretboard, Interactive Feedback, and Performance Evaluation technology. 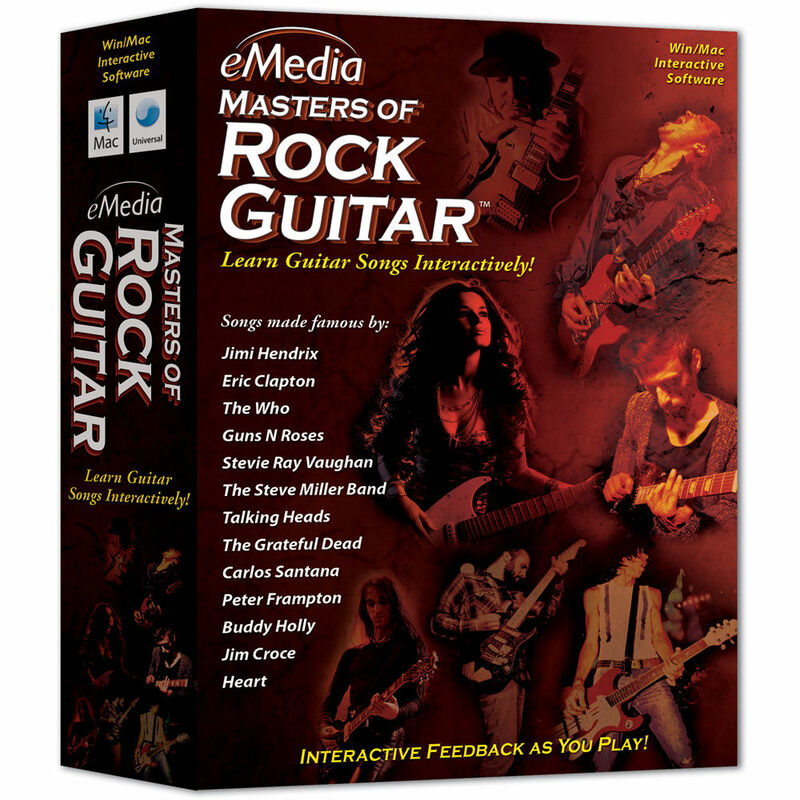 This innovative guitar software listens as you play along with the recording and highlights correctly played notes in melodic lines and solos. Variable-speed MIDI playback lets you slow down the music as needed. Integrated guitar-software tools include an automatic digital tuner, complete with custom tunings as needed, in addition to a recorder and a digital metronome. With Masters of Rock Guitar, you'll feel as though you're learning how to play from the masters themselves. The program will inspire you and prepare you for rocking out with bands and playing at jam sessions.